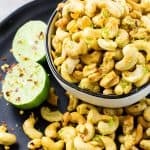 These roasted zesty chili lime cashews have a little kick to them with a bright, zesty finish. Tossed in olive oil and lime zest with a red pepper finish. Great for game-day snacking! Football season is coming to its climatic end on Sunday but it has been over in my house for a while as a slightly larger and rounder ball has taken over. Yelling and screaming can be heard coming from my house at least three blocks away. The Kentucky Wildcats are yet again battling up and down the court in a race to the Final Four. Our television gets more face-time in the winter months due to the plethora of basketball games that are playing at any given time. More TV time means more food consumed in front of the said monster. Being that our coffee table is lacking in the surface area department, we need snacks that take up less space. At least until I devise some sort of multi-tiered, rotating, food display that takes up the same amount of square footage and has cup holders. Small snacks are a must but they have to be satisfying and healthy since we are eating more often. Sadly, our town lacks a decent sports bar. Waycross has one location that has multiple screens and serves beer (not liquor though) but they frown upon wearing pajamas while you are screaming obscenities like an experienced sailor, thus we watch our basketball at home. 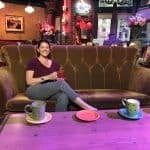 We are okay to wear our PJs and scream when we are in a different town since we will most likely never see those people again, but in our hometown, we must have some sense of decorum. 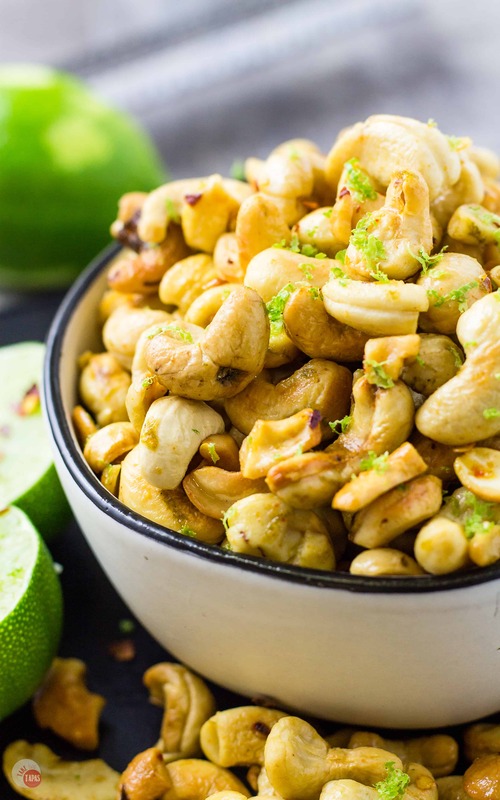 Make your chili and lime marinade, roast the cashews, then toss them in the marinade! It’s that simple! Essential bar foods always include some type of nut. Cheap peanuts are the common culprit but are usually tasteless and have already been fondled by a half-dozen people on neighboring stools. Cashews are a favorite in the Stewart household so I have decided to toast up a few, throw in some flavor enhancers and settle in for an hour and a half of good old-fashioned referee insulting and spirit fingers. 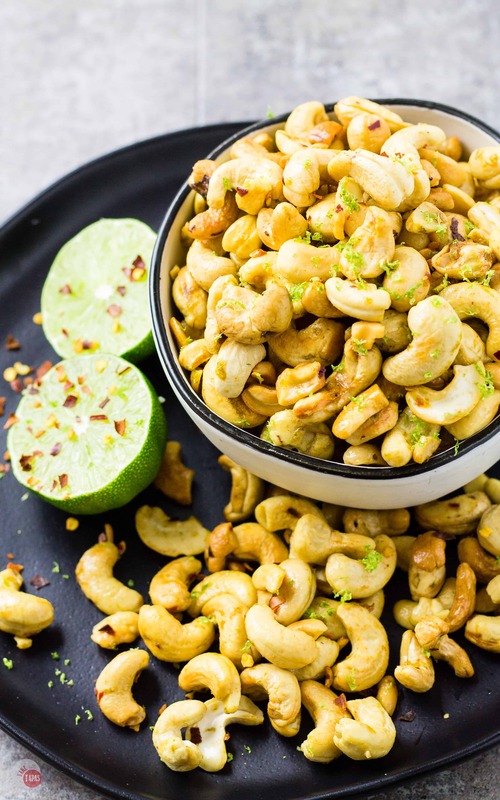 Try these tasty zesty chili lime cashews while screaming at your favorite team! 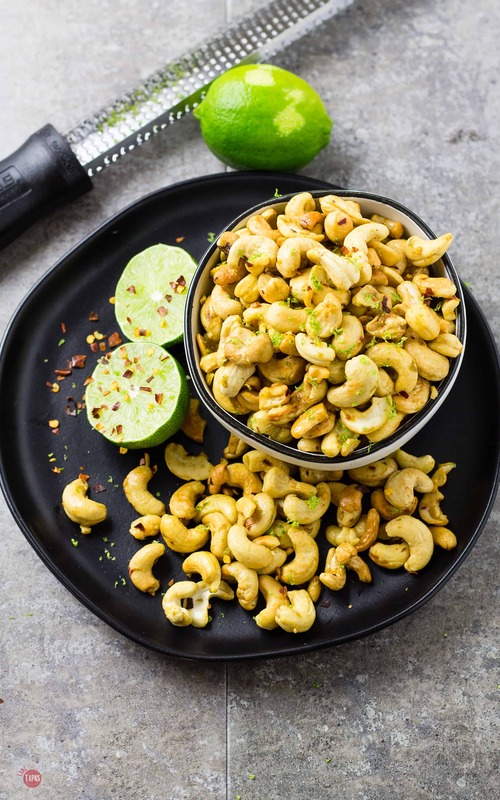 These roasted chili lime cashews have a little kick to them with a bright, zesty finish. Great for game-day snacking and keeping things spicy! Place raw cashews on a lined baking sheet. Roast nuts in the oven for about 7 minutes. You will be able to smell the nuts when they are done. Be sure not to overcook! While the nuts are roasting, mix all the other ingredients in a small cup and stir to combine. When cashews are done, place nuts in a heat-proof bowl. Stir in the oil mixture and toss to coat evenly. Place coated cashews back on the baking sheet and toast for 1 more minute to dry the mixture. Uneaten cashews (if there are any) can be stored in an air-tight container for up to 2 weeks. Oh my. Cashews are great but to flavor them like this is absolutely fantastic. Will definitely try them at the next football party. Oh My Gosh this sounds delicious! I totally need to make this for the Super Bowl Party! Thank you Chandra!! I hope you like them. I have eaten 2 batches already this week! YUM!! These look really tasty. I make something similar but with pepitas! I have seen that recipe on your blog. Pepitas are so great and fun today too! I love the idea of making your own flavored nuts. These sound amazing and I can’t wait to try these! I think it helps to make my healthy snacking fun. Even more so when they are sweet. Thanks for reading! I love these flavors! totally saving this for our super bowl party! You might want to make two batches. Mine always go so fast that I don’t get any before they are all eaten:) Thanks for reading! Oh man, I’ll be making these immediately! Like tonight, because I have everything on hand, LOVE! Thanks Lauren! Let me know how you like them! I love cashews – my favorite nuts. I’ve never tried them in a chili-lime version and am craving some now. Gotta try these out! Thanks Florian! I hope you like them! wow, these sound perfect for playoff time!! These sound so good! I love snacking on cashews, this gives a great alternative to the usually lightly salted! I love that I can leave out the salt and just get all the flavor from the lime and the pepper! Thanks for reading Marye! They sound very yummy and so easy to make! Thanks! You have time to make a batch while your are home!